During my growing years, sometimes I eat up to two bowls of rice for dinner. Despite my mother preparing lavish meals with at least four different dishes (excluding Chinese soup), my siblings and I will still be hungry near bedtime. We will then voice our plight to our parents. I guess it’s not easy to raise and feed a few teenagers who seem to always have growling tummies! Sometimes we will make instant noodles or sandwich on our own. Other times, my parents will cook supper for us. We were spoilt with variety of homemade supper. 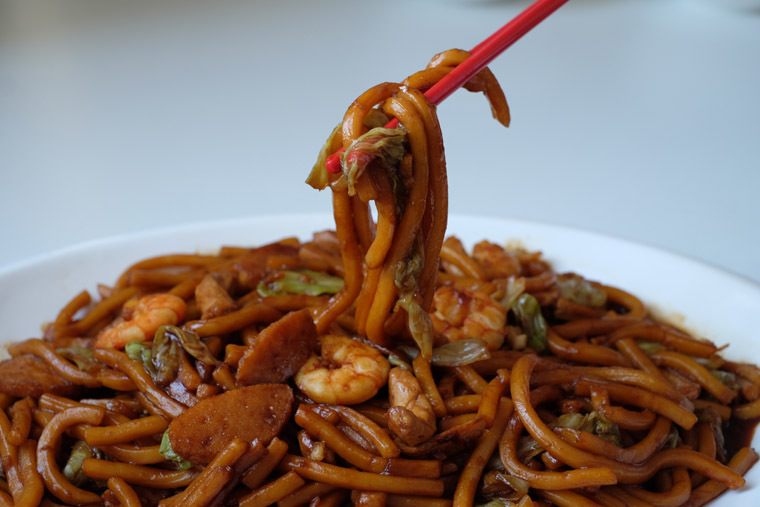 One of our favourite is Hokkien Mee. I think that is how I have such pleasant memory of this dish, and enjoy eating them once in a while. 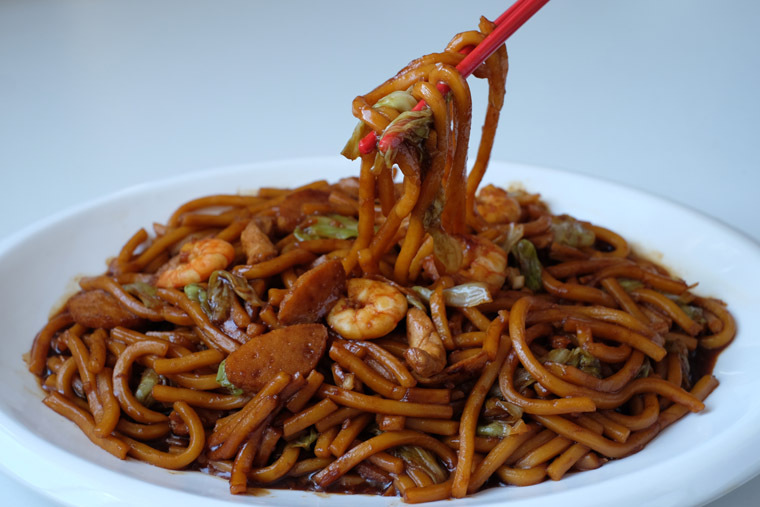 In Malaysia, it is so easy to get delicious plate of Hokkien Mee without venturing too far from our neighbourhood. Many people don’t find a need to cook them at home. But then, I’ve always like the homemade version where I get plenty of ingredients, especially seafood like prawns and fishcakes. 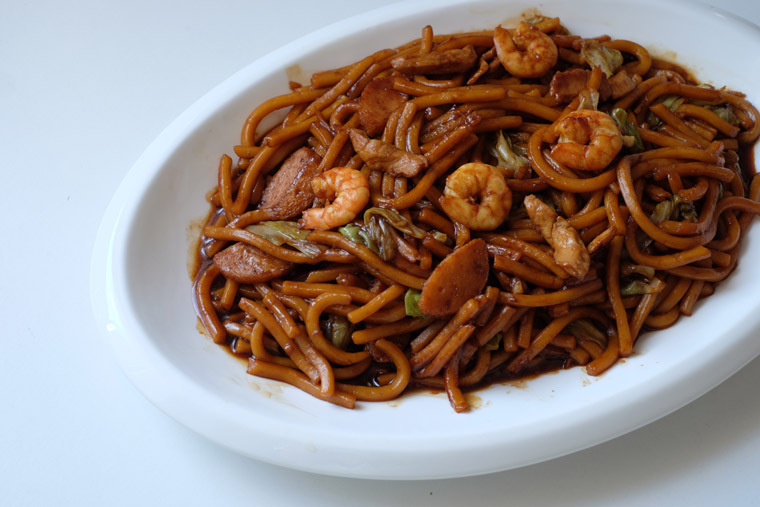 My mother taught me this recipe, in which she braised until the noodles soften and shimmer. This method is used because most home kitchens do not have as powerful stove compared to commercial ones. Hence, cooking the noodles relying on pure heat is not a choice. But it is also this method that makes this recipe much easier. Also, I wrote this dish for my friends who are overseas. With this in mind, I omit the pork lard and oil (which my family normally use) and use ingredients which are easily available everywhere in the world. 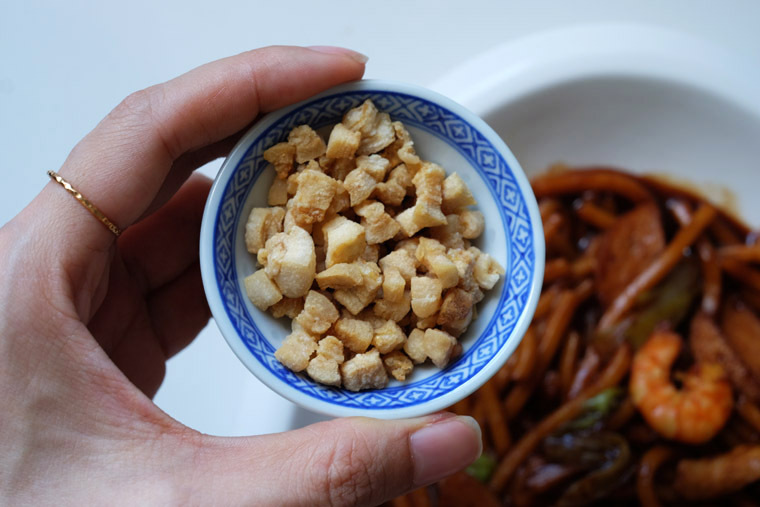 Even if you’re faraway, you could probably make this dish without much trouble (the hardest ingredients to get hold of is the noodles). 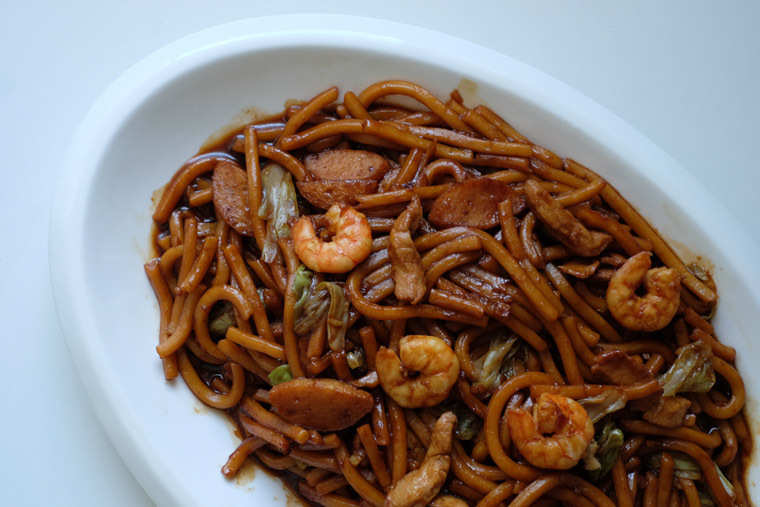 I believe this is the simplest Hokkien Mee recipe you can find.